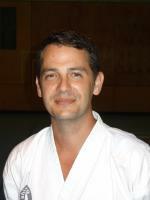 Shim Jang Taekwondo's Pacific Pines Centre was opened in the year 2000 and is still operated by Master Instructor Rob Jensen. The Pacific Pines class has been a very popular class for many years and has seen many Black Belts graded through the class. With the combined help of 2nd Dan Instructor Kathie Brookes, 1st Dan Mat Keane, Shane Gruenther and Steve Ford along with an array of Black Belts it is a class that accomodates everyone. Come along and enjoy a obligation free 2 trial lessons. Just come along on Monday or Thursday's and have a look. 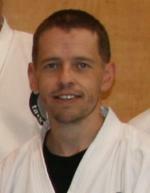 PROFILE; Master Rob Jensen began his Martial Arts Career in the early 1990’s and commenced training in the art of Taekwondo as a student of Grandmaster Les Hicks in the year 2000. 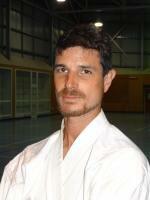 Rob is a highly experienced Martial Artist who has overseen the establishment of many Shimjang TKD classes within the Gold Coast and Brisbane Regions. As an Assistant Grandmaster, Rob is responsible for ensuring that all Grading Examination and member promotions throughout Australia are done with consistency and integrity . A loyal instructor of high integrity Master Rob Jensen typifies the organisations code....Integrity, Loyalty and Respect.